People start learning how to play the guitar for a bunch of reasons. Some of them are just fans of good music. Other would like to take their time to develop a new skill/learn how to play a new instrument. Some children do it because their parents “made them to”. Others find that it’s a great way to relax, unwind, and spend some alone time. And some just do it because it’s cool. 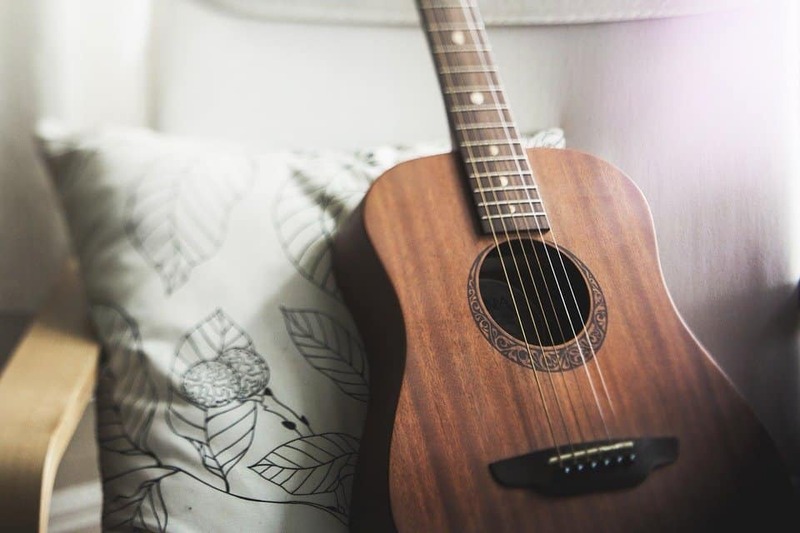 Whatever your reasons, playing the guitar can be a rewarding experience and, not to sound cheesy, a journey of self-discovery. If you’re a guitar player that’s new to this world, you may have heard about a little something called “flanging effect”. This is a sound effect that results when two identical signals are mixed together, one of them being delayed. The result of this delay of one of the signals will create a swept effect. 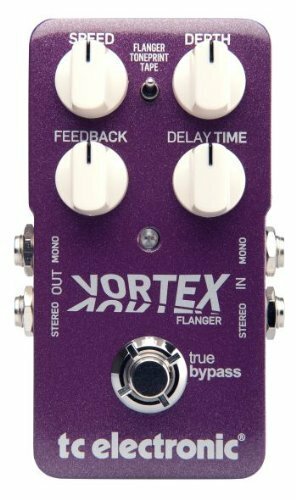 Guitar players who are looking to get some really cool effects for the music they play should definitely pay attention to flanger pedals. Their little gizmos work by delaying the source signal, which translates into alterations in delay time. You may have heard about the “flanging” effect, which can be recognized by the jet engine type of sound. Different types of effect pedals have different forms of controls. Flanger pedals are characterized by four control knobs that are showcased on pedals that fall into this category. These knobs are used to control four different functions: manual, resonance, depth, and rate. Picture a wave represented on a graph. As you fiddle with the rate knob, the frequency of the wave changes. For example, as you increase the rate of the frequency, the result will be quicker sweeps. Of course, fully understanding how to get the best out of this effect is a process that takes time. Otherwise, everyone would be an awesome guitar player. As you adjust the rate, you can make really subtle flanges. Out of all the control knobs, this is probably the most difficult one to master. It changes the flanger’s intensity. Players that add more depth, will notice that there are different flanging stages. For instance, turning the knob from zero to ⅓, the flanger has a more natural sound. Increasing the depth will result in a more synthetic sound, an effect that has a metallic vibe to it. Depth is typically a matter of a player’s personal preference. Adjusting the depth is something that needs to take into account your own personal taste. If you want to determine how high the sweep goes, you need to fiddle with the resonance knob. It works hand-in-hand with the depth, to determine the flanger effect. An important thing to keep in mind about resonance is that different pedals will attribute different values to resonance. This, in turn, will modify the end effect, meaning that discovering the right resonance value is very dependent on the music genre you typically play. The manual knobs might not even be a knob at all. This depends on the pedal model you’re using. Sometimes, it can be just a function of the resonance feature. Manual control will help a player determine the sweep’s center. When you choose higher manual values, you will notice how your sound becomes more aggressive. A lot of people may be wondering what types of music genres are best compatible with the flanging effects. The easiest answer would be any genre. However, they are more popular with specific categories of music. Rock and metal are the most popular ones that typically use the effects produced by flanger pedals. Even so, they are not limited to these categories and can be used wherever you feel that these effects are best suited. First, you have a gain-type effect. This is characterized by compressors, boosters, distortion units, and the likes. When they are put into practice, there effects can change the volume and the dynamics of a guitar signal. Then, you have space-time effects. They are correlated with echo and reverb, but you will most likely hear or read about them as being “delays”. Last, but not least, you have a set of effects that alters the sound of the guitar signals by changing the modulating/filter frequencies. These are the flanger, phaser, and chorus effects. This is the most basic information we can give you on guitar effect we can give you, but there’s obviously so much more to know than that. Because we are dealing with a form of art, there are a lot of things you can do with guitar effect, things that are only limited by your own tastes and personal creativity. In the end, the most important thing is to understand the potential of flanger pedals. Since they can drastically modify your tone and your sound output, you shouldn’t be carried away to a completely different sound, one that you feel doesn’t match your style. In the following paragraphs, we have gathered some of the most recommended products, by average guitar players, and professionals alike. Keep in mind that each of these guitar pedals are best suited for specific categories, so something that works for a professional may be a bit too much for someone who has just started playing the guitar. This Boss flanger pedal is definitely a product that delivers as expected. The price might be a little spicy compared to other options, but the features and functionality of the device more than make up for the price difference. It packs a lot of different modes, and is also compatible with bass guitars. There is a tap tempo feature, which allows the guitar player to easily sync the effect of the pedal with the music. The momentary mode has the capacity of instantly turning on flanging, making the BF-3 one of the most competitive products of its kind. This is a pedal that performs well in all chapters, combining the features you expect to get from a product within this price range. If you’re looking for a guitar pedal with a lot of features, to mix and match different types of effect with the music you play, the BF-3 is a product straight up that alley. Individual inputs & outputs for guitar & bass. Some players feel the sound is “too metallic”. If you know your way around a pedal, you’ve probably already heard about Electro-Harmonix, a brand that has made a name for itself as being one of the best effect pedals for guitars. This particular pedal blows away a lot of its competition, offering a different tone compared to what we’re used to seeing. The quality of the effects makes it difficult to determine if the sound is digital or analog, which is different than typically noticeable on other pedals. This only stands by the quality of the product, as there is typically a very clear difference in output when you use analog or digital devices. You have individual knobs to control the depth of the flanger and the chorus, but they can also be used together, for maximum pedal functionality and the best effects possible. The Electro-Harmonix pedal has proven itself worthy for different types of guitar players, whether they are at the beginning of their music journey, or have years of experience in playing the guitar. Flanger and chorus can be combined. 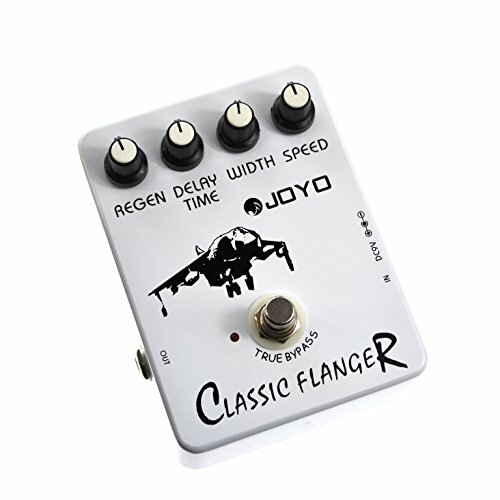 If you’re on a budget, but still want a nice guitar pedal with flanging effects, the Joyo is a suitable candidate. What we particularly liked about this product is that it doesn’t look or feel cheap at all. The white casing is quite elegant, but let’s move on to what really interests you: the features. The controls on this pedal are quite simple, and the labels are easy to read and understand. One thing you may notice is that the knobs can go out of alignment, but that doesn’t necessarily affect the quality of the effect output. Considering how inexpensive this product is, the performance is quite amazing. While there are noticeable differences between the Joyo and the higher-end products in this category, this little fellow performs really well, given its price category. If you’re new to this whole guitar pedal effect thingy, here is a budget option that allows you to fiddle and experiment with what such a device can do. When you first look at the TC Electronic Vortex pedal, it doesn’t really stand out much from all the other models you’ve seen before. Well, aside from the awesome color, maybe. But the truth is, this is one powerful gizmo, that’s capable of taking your guitar sound to the next level. 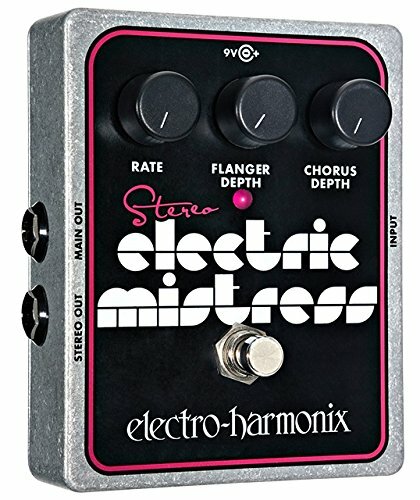 This particular pedal can be plugged into your computer, opening a world of possibilities, so you can fine-tune the effect using specific software. With the TC, you get four controls, plus a switch. The knobs are clearly labeled, so if you know your way around a guitar pedal, you’ll immediately understand what each of them does. While the TC Vortex would fit in the hands of every guitar players, professionals are the ones that can best make use of its features. It’s also particularly interesting for people who like the idea of fine-tuning the effects of computer software. A bit overwhelming for beginners. 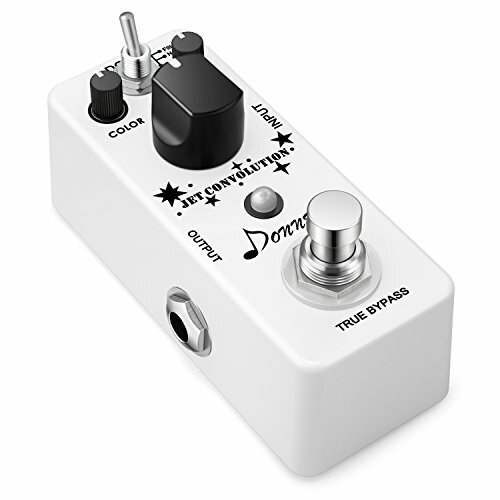 Whether you are on a budget, or are simply just starting to fiddle with guitars and would like to experiment with flanger effects, the Donner could be the right product for you. The mini format of the pedal is surprisingly pleasant to look at it. It features two different models, plus the true bypass function. Donner seems to have found a good balance between quality sound and a simple interface. The rate knob is pretty large, and definitely the item that stands out when you gaze at the Donner. Above that, you have knobs for Color and Range. It’s a pedal with decent feedback and a control delay that barely noticeable. It cannot compare to the high-end pedals on the market, but it wasn’t designed to do so, either. The simplicity of the flanger pedal makes it a great choice for people who’ve just started tampering with guitar playing. It’s a practical and affordable pedal, ideal for those of you that want a beginner’s item before you can play with the “big boys”. Without a doubt, the MXR EVH117 is one of the best products of its kind. When used properly, it can render some amazing effects, capable of taking your guitar playing sound to the next level. Aside from being versatile, it also looks really awesome, with a striped design that’s unique on the market. There are four knobs on the front casing, allowing the player to control everything from speed to delay. 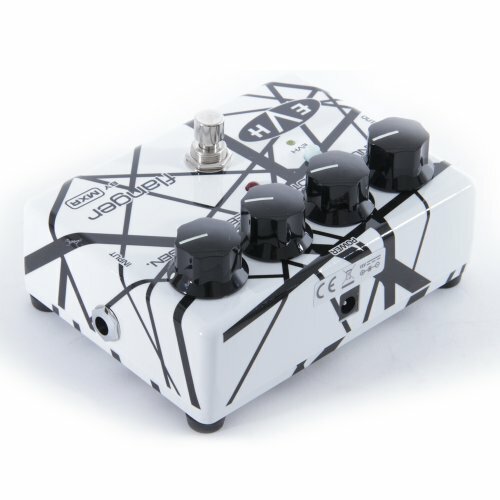 MXR advertises this baby for every Van Halen fan that wants to get the same sound effect results as the famous musician. The four knobs allow you to fully control and customize your sound, so all you have to do is pick up that guitar and start practicing. 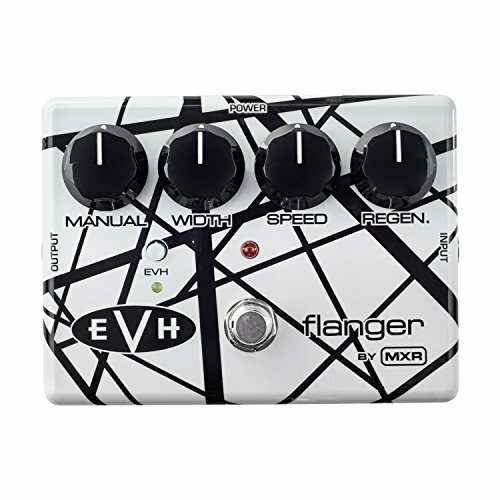 Eddie Van Halen fans are going to love this flanger pedal, boasting an EVH switch for the true connoisseur. If you are looking to update your current guitar pedal with something that allows you to achieve great parameter control, this is one of your best choices. Eddie Van Halen sound via the EVH switch. Not the best choice for FX loop. 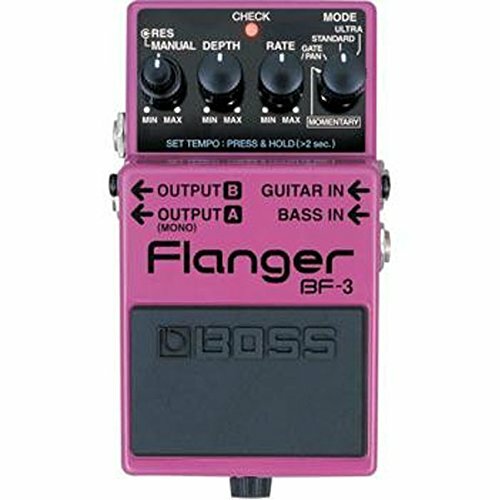 There are a lot of guitar players that use flanger pedals, mostly because the effect they can obtain is very interesting. Of course, choosing the best Flanger pedals is sometimes a matter of price, as the high-end options will bring more versatility and higher sound quality to the table. If you are a beginner, you might find yourself overwhelmed with the controls and possibilities offered by some of the higher-end models, in which case it’s best to stick with a more inexpensive and basic guitar pedal. But keep in mind that finding the right flanger pedal can be a matter of experimenting, so don’t be afraid to upgrade as your guitar experience progresses and you understand more about how these babies can enhance your sound.